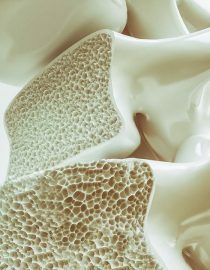 Osteoporosis Risk Factors: Are You at Risk? Around the world, approximately 200 million women are affected by osteoporosis (with 75 million people just in the United States, Europe and Japan alone). And every three seconds, someone experiences a fracture related to osteoporosis. But you don’t have to be part of these statistics. If you know what osteoporosis risk factors to be aware of, you can make smart, savvy choices that reduce your osteoporosis risks and ensure you live a healthy, vibrant life without having to worry about brittle bones. There are dozens of osteoporosis risk factors, including some that you have no control over (i.e., genetics or gender). But there are also risk factors that you have control over that may have a real, measurable and positive impact on your bones. Here are some of the biggest osteoporosis risk factors that you do, and can, exert influence over, putting power back in your hands to take control of your bone health. “Studies have shown a direct relationship between tobacco use and decreased bone density,” warns the Osteoporosis and Related Bone Diseases National Resource Center at the National Institutes of Health. It can sabotage your foundation. You build the most bone mass from your childhood until about age 30, and if you smoke, you’ll have less bone mass and a smaller skeleton as an adult, which impacts your risks as you get older. Inhaling cigarette smoke releases a large number of free radicals into your body, which damages the cells and organs that your bones need to stay healthy. Smoking increases your body’s levels of the stress hormone cortisol, which increases bone breakdown. Nicotine in cigarettes kills your osteoblasts, which are specific cells in your body that actually help to make and rebuild your bones. If you smoke, talk to your doctor about how to quit smoking. While smoking is addictive, there are more and more options available to make the quitting process easier, from nicotine patches to mindfulness habits like meditation. And if you live with a smoker, consider air purifiers, extra ventilation, and encouraging your friend or partner to quit the habit. Alcohol is one of society’s most prevalent drugs, with a third of American adults saying they’ve engaged in binge drinking at least once in the past month. Alcohol affects how your body can use calcium, the all-important mineral that you need to build strong bones. For example, alcohol increases a specific hormone in your body that reduces how much calcium your body stores. Alcohol can disrupt your body’s hormone levels (estrogen in women and testosterone in men), which increases the risks of poor bone health. Alcohol spikes your body’s levels of cortisol, which accelerates how quickly your bones break down. There is also a side risk that many people don’t think of: Alcohol raises your risks of stumbling and falling, which in turn raises your risks of bone fractures. If you drink, stay within healthy limits: Up to one drink a day for women and up to two drinks a day for men. However, talk to your doctor about your age, lifestyle and other health factors to find out what limits are best for you. While the first two factors discussed above are crucial, the National Osteoporosis Foundation ranks exercise as one of the #1 things to consider in terms of reducing your osteoporosis risks. The key is the type of exercise you choose. While all forms of exercise are beneficial to your general health, it’s weight-bearing exercises that specifically help with strengthening your bones and staving off osteoporosis. Falls – since regular exercise may improve your balance. Injuries – as exercise strengthens your joints and stabilizing muscles. Other diseases – including diabetes. You are what you eat, and so are your bones. A well-balanced diet, rich in bone-building minerals and vitamins, is the building block for strong bones and a lower risk of osteoporosis, reports the National Osteoporosis Foundation. Most adults should aim for 1,000 mg of calcium a day, but women over 51 should aim for 1,200 mg. Most adults should strive for 600 IUs of vitamin D daily, and 800 IU a day if you’re over age 70. However, before reaching for a vitamin supplement, try and eat whole foods instead. Studies show that your body benefits more from whole food nutrients, in part because vitamins and minerals don’t work in isolation. By eating right from the source, you get all the other nutrients and antioxidants in the food. Finally, talk to your doctor about other medical factors you’re currently facing that may play a role in your bone strength and osteoporosis risks. This is often overlooked by many people until they talk to a medical professional. For example, some diseases and medical conditions increase your risk of osteoporosis (i.e., hyperthyroidism). Similarly, if your doctor puts you on a specific drug, some medications can reduce bone strength (i.e., corticosteroids if used for extended periods of time). And finally, some medical surgeries and operations – especially those that affect your hormones, such as a hysterectomy – may also affect your bone health. By reviewing all these osteoporosis risk factors with your doctor, you can create a tailored treatment and prevention plan that protects your bones from some of the greatest threats that you have control over. After your diagnosis you may wonder, “Can osteoporosis be reversed?” The short answer is no, but there are some things you can do to slow bone degeneration.